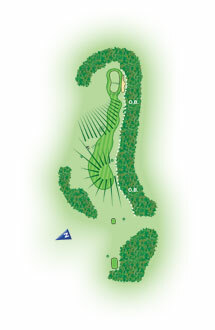 The fourteenth is the high point of the course which has a blind drive over a hill. Aim for the marker post to give a straightforward second shot to a green set into the slope. While on top of the hill take the opportunity to survey the panoramic views.